Make higher profits and attract more customers! 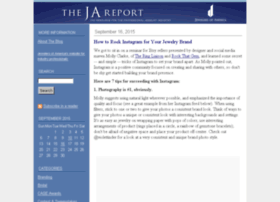 For the busy retail jewelry professional, news and effective retail jewelry strategies from <i>the</i> resource for the professional jewelry industry, Jewelers of America. Covers all areas of jewelry retail, from financial management, marketing, customer service, display, merchandising and more.